School of Engineering: research and doctoral committees. Computing and Systems Department: undergraduate, graduate committees. EELA-2 and GISELA: International projects co-founded by the European Union, coordinator for Uniandes as well as for Colombia. 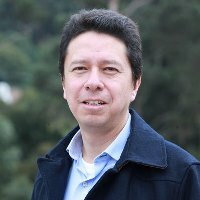 Coordinator or participant of several research projects funded by Colciencias (Colombian NSF) or similar agencies: Grid Colombia (2010-2011), Coffe genoma (2010), Potato blast (2010), J2GA (2009-2010), Mobile Traffic Monitoring (2010-2011), Grid Uniandes (2006-2011). Ochoa L, Alves J, Gonzalez O, Castro H, Gunter S. “A survey on scalability and performance concerns in extended product lines configuration”. International Workshop on Variability Modelling of Software-intensive Systems (ISBN 978-1-4503-4811-9) pp. 5-12. ACM Digital Library – 2017. Perez P, Castro H, Pérez Jose, Caliz R, Villamizar M, Garces O. “Facilitating the Execution of HPC Workloads in Colombia through the integration of a Private IaaS and a Scientific PaaS/SaaS Marketplace”. 2016 16th IEEE/ACM International Symposium on Cluster, Cloud and Grid Computing (CCGrid) 16th IEEE/ACM International Symposium on Cluster, Cloud and Grid Computing (CCGrid 2016) (ISBN 978-1-5090-2453-7) Colombia. 2016. Ochoa L, Gonzalez O, Verano M, Castro H. “Searching for Optimal Configurations Within Large-Scale Models: A Cloud Computing Domain”. Lecture Notes in Computer Science (ISSN 0302-9743) 9975 (-), pp. 65-75. 2016. Cobo L, Castro H, Quintero A. “A Location Routing Algorithm based on Smart Antennas for Wireless Sensor Networks”. Indian Journal of Science and Technology (ISSN 0974-6846) 8 (-), pp. 2-15. 2015. Susa D, Villamizar M, Castro H. “Closing the gap between Cloud Provider and Scientific Users”. Cloud Computing with e_Science Applications (ISBN 978-1466591158) pp. 115-140. CRC Press – 2015. Participation on several consulting projects: Colpensiones (2010-2011), ICBF (2010), PGN (2008), project evaluator (2005-2011).